“Did you turn out the lights when you left that place?” my brother Eric was fond of asking me. It was a standing gag between us. He is number four. I am number seven. Once I saw the light of day, they not only shut out the lights, they removed the mold. My mother could have no children after me. Seven siblings would be the number of us for twenty-seven years. Then we lost John, the second born. Eric and I dug his grave together. Fifteen years later, Timothy would follow. He was number six. We had lost our second line bookends. A decade would pass before Michael, number three in the lineup, would enter his rest with our Lord. That left us at four. On New Year’s Day, 2019, Eric Larum ended his pilgrimage on this earth. The center sibling is gone. Now we are only three: the eldest and the youngest and the wonder woman in between. In this world of broken lives and blended families, I suppose “were you close?” is a fair question to be asked when you tell a colleague that your brother died. Fair or not, I still stumbled in my answer. Was I close to my brother Eric? Too close to explain. Too close to discuss. Too tender to touch. Too raw to reach. Too painful to manage more than a subdued yes. When we were growing up, the term “blended family” hadn’t been coined yet, which is fine because it falls far short of describing our reality. Gloria’s brood wasn’t blended. We were welded, fused together in the heat of fierce family love and tragedy. The seams and scars were all there, but they left no steps or halves in their wake. We were brothers and sister. Never mind that the older three called my father Uncle John. Never mind that the next two called my father Dad and their father Pop. Never mind that my closest cousins were my brother and sister and my oldest brothers had a different last name. Blood was blood. That was that. Mom married young and had three sons: Ronald, John, and Michael. Her first marriage was short in number of years, but long considering the circumstances. All the boys were still under ten when she divorced her first husband. Then she met the Larums—Jim and John in particular. John noticed her first, but Jim was faster on his feet and got the first dance. James Patrick Larum, the youngest brother of the Larum clan, was a gregarious soul by all accounts. Mother said he never met a stranger. I only know snippets of him, bits of stories told by his widow and siblings. He was the life of a party, the man to have on a hunt, the capable woodsman, a good dancer, a wise soul, a troubled soldier, a courageous man. He loved his wife. He loved his children, all five, even though only two of them were from his loins, Eric and Barbara. Mom and Pop were only married for five years. Except for how it ended, from mother’s accounting I always gathered that they were happy years. On a camping trip near a lake, Jim drowned while rescuing Eric, then three, who had gone into the water to be with his older brothers. The tragedy left an indelible mark on the entire family, but I suspect it scarred Eric most of all. Jim was the seventh of seven. My father, John Harold Larum, was number six. My Aunt Katy tells me that when my father announced he was going to marry Gloria, their brother’s widow; she asked him, “Why would you marry her?” “Because I saw her first,” he said. They wed in my Uncle Glennon’s church. They had two boys, Timothy and me. Mom’s second Larum marriage lasted three times and change longer than the first. My father died when I was thirteen. To my oldest brothers, dad would always be Uncle John. For Eric, Barbara, Timothy, and me, he was always Dad. Pop was the name reserved for Jim. For better or worse, fathers impart identity. Growing up, much was made of Timothy looking like my father. I never thought I favored him much in appearance, however much I mirrored him in heart. I am my father’s son, no doubt. But Tim was the one that most looked like him. Folks at times would think us twins. I never saw it that way. Tim looked like Dad. Everybody said so. Me? I looked like … well, I always thought I looked like Eric. I remember the day I proudly presented my first driver’s license to my mother. When a child looks or acts like a living parent, recognition of the fact usually elicits endearment or positive commentary. When the parent is dead, the child’s resemblance touches a different emotional core. It’s difficult to avoid the spook factor. I handed Mom my license. She looked at the picture and then at me. She paled, brushed by an unexpected specter. “You look like Jim,” she said. I was used to her reactions, negative and positive, when I behaved like my father. It was a familiar dance, spook factor and all. But reminding her of the husband she buried before she married my father proved too spooky even for her. Were Eric and I close? Mom thought I looked like Pop, a man who drowned and subsequently made my birth possible. Eric’s tragedy, my legacy. We were cousins like few others. We were brothers from the same mother. Father’s impart identity, siblings stamp character. Hugs and blows, heart-shares and arguments shape and augment the wet clay. The farther down one is in the birth order, the more one is shaped by siblings than parents. I am the youngest of seven. Eric was number four, square in the middle, pivot man between two fathers and three older brothers and granted by God to play the lead out man for the other three Larum kids. When I started kindergarten, it was Eric who walked me there. I was five, he was twelve. He wasn’t insensitive to my needs or age, but he didn’t allow his sensitivity to impact his stride. He would walk me there, but I had to keep up. My normal walking pace remains fast to this day, forty-eight years later. I recall a night when I was fifteen walking home from work after closing the kitchen down near the midnight hour. Out of the dark and some distance behind, a voice bellowed my name. It was my brother Timothy hoofing his way home from parts unknown. The street was poorly lit and I had been nearly two blocks ahead of him. “How did you know it was me?” I asked him. He laughed. “Brother, I would know that walk anywhere.” How close were Eric and I? He gave me my walk. When I was six and Eric was thirteen, we walked from Michigan to New York to catch a plane to Spain. Mom and Dad were with us, as were Timothy and Barbara. We hiked for three weeks at least. Memory tells me my pack weighed twenty pounds. Not too bad for a six-year-old, but Eric’s pack held the canned goods. He was always Big Brother. He left home not long after our return from Spain in 1976. I was eleven. He was eighteen. I wouldn’t see him again for another five years. The occasion of our reunion was my brother Timothy’s high school graduation in San Jose, California. My mother, step-father, and I had ridden the road from Arkansas to be there. A lot happens to an eleven-year-old’s body in five years. Last Eric had seen me, I didn’t reach his shoulders. Now he looked up at me, sixteen and filling out. He smiled. We hugged. He held me out at arm’s length, a hand on the side of each of my shoulders, open-palmed. “Well, you may be taller than me now,” he said and lifted me off my feet, “but I’m still your big brother.” It was never in doubt. To this day I remain amazed by his feat. Men who can do don’t brag. Eric was never a braggart. He came back to Arkansas for a short stint when I was in my senior year of high school. He joined me and my buds on my best friend’s farm for a bon fire evening. Eric was seven when I was born. At twenty-four, he had no qualms about hanging out with his baby brother. Years couldn’t estrange us. He was perfectly content with extended periods of solitude and equally comfortable in a crowd of people. He never had to be the center of attention. But he was hard to miss. When we arrived at the site, my high school friends and I gathered branches and twigs for the fire. Eric came out of the woods with a tree trunk across his back. If you wanted a real bon fire, Eric was the Viking to invite. I moved to Virginia. I met Heidi. We married and had children. Born on the Pacific coast, I was now making a life on the Atlantic seaboard. My siblings and I were scattered, but I was the outlier hanging on the eastern edge of America. I landed a contract to install office furniture overseas and invited Eric out to join me. We assembled desks by the hundreds in Naples, Italy. We climbed Vesuvius, walked on the ancient streets of Pompeii, and sipped cappuccinos together in Capri. We built cubicles together in Rota, Spain and pool tables at Oceana Naval Base in Virginia Beach. We ended up working together for nearly five years. He lived with us, sharing a room with my older boys. In some ways, they were reliving my childhood. I gained a love of reading, crafting, and working through osmosis from my brother. My sons would soak it in from their uncle. Working with Eric was poetry in motion, a sibling synergy I will treasure all of my days. Each anticipated the other’s moves. We could communicate with a glance, pass tools and material to each other like a dance, swap whole jokes with just a punch line, and roar together in shared joy as the rest of the crew just shook their heads. He used to tell me his friends in Spain always wondered how he could have worked for his younger brother. “I tell them I loved working with you. It was no problem for me. At work, you were the boss. At home, I was the older brother.” Proud men put on airs. Eric was a humble soul. He poured out love. With the exception of my brother John, all my children have had the blessing of knowing their uncles and aunt. But they grew up with their Tío Eric. I was very young when my family left California, still young when I moved away from home base. My sons and daughters were somewhat isolated from my side of the family until Eric came. Through him, they would taste their grandmother’s cooking, hear their great-grandfather’s laughter, sense their forefather’s craft. He widened their context. He was a gift to us all. A decade into his life with us in Virginia, he reconnected with the love of his youth, Marisa Mateu. Theirs is a love story written by the hand of God. Eric was always rugged, on the edge of the wild. He pitched a tent once to camp out for the night on a plot of land he and my brother Timothy were buying in Arkansas. He left the camp site six months later. Marisa tamed the lone wolf with love. They had been sweethearts as teenagers, lost contact for thirty years, and reunited through a series of events that began with one of my employees, moved through my best friend in grade school, and culminated with their marriage in 2007. After Jesus, Marisa was the best thing that ever happened to my brother. Eric lived the last years of his life in Spain, the country that was always home for us. He and Marisa made it possible for my wife and children to see where I grew up and walk the streets I ran on as a child. As a married man with seven children, I am seldom lonely. But being able to be over there with them and my brother made me forever less alone than I was. Eric had a knack for giving gifts that kept on giving. I have gone long. Eric would say, “Too many notes, Mozart.” I disagree. Were I able to write an entire opera, it would not be enough. How close were Eric and I? Closer than cousins is an understatement. We shared the womb. We shared a room. We lived together as children and adults. We worshipped together. We worked together. We walked together. “Close” is insufficient to describe the nearness of heart. He was one of the very few people on earth who knew me inside out, forward and back, warts and all, and loved me still. We both had US passports, but our citizenship is in heaven. He is there with our fathers, our mother, and our brothers in the presence of our Lord. I find comfort in the sure hope that the Savior, the Lord Jesus Christ, will come and transform this body to be like His glorious body and I will embrace my brother again. Thanks be to God for His unspeakable gift. What is worse than a conman parading as a statesman? A Supreme Court Justice who believes he is a legislator. What is worse than a Supreme Court Justice who believes he is a senator? A senator who believes he is powerless? What is worse than a senator who believes he is powerless? Constitutional illiteracy. One paragraph in and I find myself compelled to make several disclosures. I am a lifelong conservative, born into a Republican family and embracing conservatism—which used to be known as liberalism until the term was hijacked by socialists—in my own right after much study and investigation; in other words, I have matured into conservatism to a greater extent than I ever received it from my mother’ milk. I am no Trump fan and never have been. Last but not least, I have unplugged from the political debate since the election as vociferous member of the Right trumpet louder and louder delusions while apparatchiks on the Left appear unable or unwilling to attack their displeasure of the presidential election results with the legitimate tools at their disposal. All seem to have devolved to the level of elementary school name calling and sandbox pushing. Today was a near final straw for me. Driving home while surfing radio stations in search of at least one decent tune for the ride home, I landed on NPR. The story of the day on All Things Considered was Michael Cohen’s guilty plea on numerous criminal charges in Federal District Court in Manhattan on Tuesday. Mr. Cohen’s plea is troublesome enough as the continual denials of a White House fire by Twitter Trump and the surrounding Trumpsters amid the chocking smoke that surrounds them stretches the extreme limits of legitimacy of the office of the President, let alone the Donald himself. If that wasn’t tragic enough, Senator Chuck Schumer decided to add his proof of personal ignorance (or incompetence, I’ll let the reader decide). Yes, ladies and gentlemen, he said this in the Senate. Leaving aside for the moment his reason as why he believes it unseemly, let us constitutionally examine his questioning of a sitting President nominating a Supreme Court justice. Article II, Section 2 of the U.S. Constitution delegates to the President the power to nominate judges of the Supreme Court. It matters not that both parties have grandstanded as to when a sitting president should or should not be able to do so. The law of the land—and we are supposed to be a nation governed by the rule of law—is that the president has this power. If Senator Schumer does not think the nominee appropriate, then he has a constitutional means by which to block it. He needs to convince enough of his colleagues that Judge Kavanaugh is not fit to be a Supreme Court Justice on Mr. Kavanugh’s own merits, not on the grounds of who nominated him. Instead, Senator Schumer takes to the microphone and makes an emotional appeal based on scandal for a delay of a vote he must believe his side will lose. And why doesn’t he want to lose? Because allowing black robes to legislate is easier than actually doing the hard work of drafting sensible laws and guiding them through the process. Now, let us take in review his ridiculous reason as to why he thinks it unseemly. He thinks that if confirmed, Kavanaugh could be a juror in a case involving the president himself. Unless Schumer has sunk to the level of confusing what the meaning of the word “is” is, a juror is a member of a jury. Judges and Justices are judges, not jurors. Of course, if one is predisposed to allowing constitutional erosion through judicial decision, his confusion might be understandable. But it certainly is not excusable. Senator Schumer posits this potential as being proximal, a case soon to be under the purview of a Supreme Court Justice. Such a case could only be an impeachment proceeding. And in an impeachment trial, it is the Chief Justice of the Supreme Court who presides as judge and the senators who are the effective jurors in the case. Once again, the Senator has exposed his penchant for granting to the judiciary the power which belongs to the legislative branch alone. The mis-State of our Union saddens me. I pray that all freedom- loving Americans can remove their Left and Right lenses and read our Constitution in the true light under which it was written and in future elections, vote accordingly. God bless America! Heaven knows we need it. Article I, Section 3 of the U.S. Constitution. I am the youngest of seven children born under three marriages, but comprising only two constellations of siblings: Russell and Larum. I was perhaps six months old when my eldest brother Ronald went off to Vietnam. That should give you some sense of the remoteness the baby in the family can feel toward his oldest siblings. But ours was far from a normal family. “Blended” wouldn’t do it justice, so I leave that tale for another day. Six boys and one girl, which means that both mom and sis were strong women in a way that could put to shame many a man I have known. Mom buried three husbands and two sons. I am very grateful she was already home to greet the latest departure. On Friday, September 29, 2017, Michael, my third-oldest brother, went home to be with his Lord and enjoy a family reunion I can only hope for. And then there were four. The Four at Mike’s Night to Remember. R-to-L: Ronald, Eric, Barbara, and me. One would think that having six siblings would minimize the intense sense of loss somewhat. But it doesn’t. Seven is the full set. Anyone missing leaves us less. I felt this first at the news of my brother John’s death in 1992. He was only forty-three; I was nearly twenty-eight and already overly familiar with the process of grief having lost my father when I was thirteen. As I recall it, I was deep into a construction project with my son Nikolai—a toddling two-year-old who loved stacking the blocks up into imaginary castles almost as much as I did—when I received the news. I was totally unprepared for my reaction: shock, sorrow, and relief. Relief? Yes, relief. I suppose it is time to introduce you to my brother John. Brother John in his younger years. John was my mother’s second son. She was a recently minted nineteen-year-old when she had him. Though young, the drama of life had already swept her into a tale that would ultimately rival any soap opera and still surprises audiences when I tell it. John was the only boy among us with black hair. “You don’t look like the rest of them,” folks would often say. “If I only had a dollar for every time I’ve heard that,” was his frequent reply. The rest of us boys were redheads. Barbara stood out because she was the girl. John, well, John was different. All my siblings are charming, but I admit I am biased. John was charming in a way that would make women who knew better swoon. Handsome, athletic, driven, brilliant and armed at an early age with a sociopathic lack of conscience, John was an exhilarating and dangerous roller coaster to ride. As life would have it, he was the older sibling who showed up on the scene to “help” my mother when my father was dying of emphysema and lung cancer. “Help” meant that he was there to engage and challenge his teenaged baby brothers, Timothy and Nikolas (that’s me on the right—people often confused us even though our names only share two letters), who were the last left at home. And “help” is in quotes because his move to Arkansas from California wasn’t motivated by any sense of obligation or altruism. Narcotics officers were hot on his tail and he thought it best to let his California market fade away in his rearview mirror. John taught us all the things older brothers shouldn’t teach their younger siblings and a few that they absolutely should. The shoulds ran the range from expanding my literary horizons to knowing how to put my fist through wood if necessary. The should-not’s I won’t list, except for this one: if you want to score a million dollars, don’t try stealing it from one guy; instead, find a way to con a million people out of a buck. That was John, the consummate conman. Our last conversation was a godsend. We must have talked on the phone for nearly two hours. I laughed so hard I couldn’t cry anymore. “I finally got your number from Mother, but she still wouldn’t give me your address,” he said. I laughed. “John, you know I love you. I simply can’t afford you.” He laughed. Good times. He died of an overdose not long after that call. It was like having a chunk of my heart pulled out. I was sad he was gone and relieved that the danger had passed. 2007 was a monumental year for me. In June of that year, I began a new career in waste management. After nearly twenty years working in the installation and warehousing side of the commercial office furnishings industry, I landed a job managing a materials recovery facility. Essentially, I went from opening cardboard boxes to recycling them. I knew next to nothing about waste hauling and even less about running a processing facility. Fourteen-hour days were not uncommon and the commute simply added to the load. It was about midday on a Thursday when my wife called me with the news. There was no easy way to say it. My brother Timothy had passed away the night before. I have never been a big Halloween fan. His death on October 31, 2007, didn’t improve my opinion of the day any. Classic me, I tried to keep working. I think I was able to function for about an hour and half before I admitted to myself the impossibility of it. I had to go home. Tim was my Irish twin. He was No. 6 to my No. 7, the only other biological child of my father. I should have been prepared for my reaction to the news: shock, sorrow, and ultimately relief. Relief? Yes, relief. Please let me explain. Timothy wasn’t dangerous like John. As far as I know, he never ran a con in his life. He loved his family, cherished our mother, and adored his daughter. He was physically talented and fearless. I see cliffs as something to climb. He climbed cliffs to find higher ground to dive from. I learned to fight for self-preservation. He liked to fight for fun. I had to teach myself how to laugh out loud. His laughter could always shake the room and was more infectious than Ebola. Though some may disagree, I believe my head outweighs my heart. His heart was always bigger than his head. Timothy taught me to dance, got me hooked on restaurant work, and had a way of talking me into schemes I should have known better to avoid—like driving him and his best friend to a party because mom never said I couldn’t take the car, never mind that I was only fourteen and unlicensed. In many ways, ours was a case of classic sibling rivalry. But our conflicts were always tempered with an abiding affection for each other. Being last in line, we experienced the most together. It was a treasure trove of memories none of the other siblings had in common. News of his death was like taking a .45-slug to the chest. The hole is still there. My last conversation with him was a godsend. I was at work checking on one of our auxiliary warehouses when he called me on my cell phone. He was distraught over many things. He had recently been assaulted at a gas station by a group of thugs who felt he had cut them off on the highway. The experience had left him humbled and profoundly shaken. Our brother Eric, with whom we were both very close, had moved back to Spain. To make matters worse, the Spain we had grown up in no longer existed. Prone to nostalgia, the physical loss of the country he grew up in left his identity somewhat adrift. Last but not least, his little girl was going to be a legal adult and the chances of her deciding to move out to him were slim to none. There was really ever only one salve for our wounds: Jesus. As I spoke with Timothy, we encouraged one another in our faith. I believe I helped him define his distress and in doing so, brought some relief. If the above leads you to believe that the conversation was sad and somber because of its content, then I can only surmise that the reader hasn’t spent much personal time in the company of Larums. That is not our way. There are few traumas that we can’t laugh our way through. Aside from the usual jocularity, the joy of this conversation was in the shared hearts of brothers who truly knew each other. Timothy worked hard and played harder. He died of a heroin overdose. Mother said he must have been shocked to come to and see Jesus. She believed as I do that the high was his aim, not suicide. He was only forty-four years old. Hard as John was to live with, Mother never fully recovered from his death. Timothy was the only honest-to-goodness mamma’s boy among us. I feared she would sink in the sorrow of his passing and never return to us. She proved me wrong. She was always surprising like that. I had been casting about in my mind for how to broach the subject of God’s mercy in Timothy’s exit with her. She kindly beat me to the punch. “Sad as I am,” she said, “I am thankful he went that way. Maybe God allowed it to save us all from something worse. What if he had gotten into an accident drunk behind the wheel and killed someone? He wouldn’t have been able to live with that. I think God was merciful to us.” That is what I mean by relief. My earliest memory of Timothy and Michael is the same. Ron and Mike were playing catch with Tim in the living room of our California home. Timothy was the ball and he was having a blast. Having older brothers over six feet tall when you are a toddler is like having your own personal amusement park. If Timothy wasn’t an adrenalin junkie at birth, he certainly was one by the age of three. My next memory of Michael was of him working on our mother’s car. It was an Opel coupe. I recall coming out of the house and walking down the driveway just in time to see him reach under the hood, pick the engine up, and set it down on the ground. Did I mention that Michael was big? Some people don’t believe in giants. I grew up with them. An imposing six-and-a-half feet tall, Michael was a gearhead and a consummate prankster. When Charles Manson was going helter-skelter, Michael was knocking on the neighbors’ doors and keeling over with a toy knife protruding from his chest, his white t-shirt smeared with ketchup. I don’t know if he ever encountered an engine he didn’t think needed to come apart. He worked as a lumberjack, married young, had two children, and ultimately found his way to being employed by IBM. My grease monkey, lumberjack, giant of a brother wound up being an executive in a high-tech computer company. Folks who may consider me to be loud and perhaps a bit obnoxious have little appreciation for the din of brilliance I grew up under. As the baby, I had to be persistent to be heard. If that didn’t work, I got louder. Our last conversation was a godsend. Michael suffered a catastrophic stroke early in 2012. We were unsure at the time if he would survive it. He did, but not entirely. Strokes have a way of removing restraint on certain aspects of personality. Certain aspects of Michael’s personality were in continual need of restraint. His wife and children were heroic in his care, but not without a price. Eventually, my nephew Matthew had to set Michael’s phone to receive only. I had not called him in some time. My sister Barbara reached out to me to let me know Michael really wanted to hear from me. Were it not for her, I would have missed the opportunity. I am ashamed to say that I never ventured out to California to see him in the nursing home. At first I was dealing with enough fires on the home front. But ultimately, it boiled down to plain selfishness. Selfishness and fear. I had made my way through cancer. I was weary of digging holes. I didn’t possess the courage to see him that way. I kept my distance. I’m the baby, gotta love me. I called Michael and we had a beautiful talk. He reminisced about his last visit to Virginia. I had taken my two oldest boys, Nikolai and Gavin, to play disc golf with my brother Eric. While we were chatting in the park, an old geezer who looked like a slightly run over Mark Twain shuffled his way to us and started talking to the boys. It was all I could do to keep a straight face. Michael had them going a good while before he stood up to his imposing full height and removed his Billy Bob teeth to reveal himself. We still laugh about it. The kids were so impressed that my wife bought Billy Bob teeth for all to wear when they met the new dentist. The gag worked great. Thanks, Michael! We talked about that epic day in the park, about the time he came to my church, about the grace of God, about the love of family. In his bed, paralyzed from the waist down and a good chunk of his brain missing, Michael talked with me as a loving, older brother. He asked about my life, about my kids, about my plans. How does someone love like that? Here I was, almost put out to call him. There he was, laid low in a nursing home loving on his baby brother. It leaves me undone. He wrestled with survival, unsure of whether he wanted to stay or go. When the news came, the feelings were familiar: sorrow and relief. His suffering was over. His time had come. Mom had a party in heaven, I am sure. I know our times are in His hands. I believe in the imminent return of Jesus Christ and hope to experience having my mortality swallowed up by life. But if that doesn’t happen in my lifetime, I know that my corruption will put on incorruption. All that being said, if I go before He comes the only one I want feeling any relief is the Devil. I want to be full of years and in a good old age. I want to be in the same shape as Moses, whose eye wasn’t dim nor his natural force abated. Rest in peace, my brothers. The days of our reunion will by far outweigh the days of our lives. I did a lot of writing in 2016, but by the looks of it not much made it on Larumland! Carlos de Leon, my favorite Gypsy, has been monopolizing most of my creative time. Even so, I did manage to get some reading done in 2016. Below are my top ten of the year in the order that I read them. Righteous Victims: A History of the Zionist-Arab Conflict, 1881-2001 by Benny Morris. Morris is an Israeli historian and is a professor of history in the Middle East Studies department of Ben-Gurion University of the Negev. This masterful work on the establishment of the modern Israeli state and the resultant Zionist-Arab conflict tells a tale unlike what one hears from Evangelicals or Arabophiles. The righteous victims of the title could be either the Jews or the Arabs or neither depending on the incident or the era. 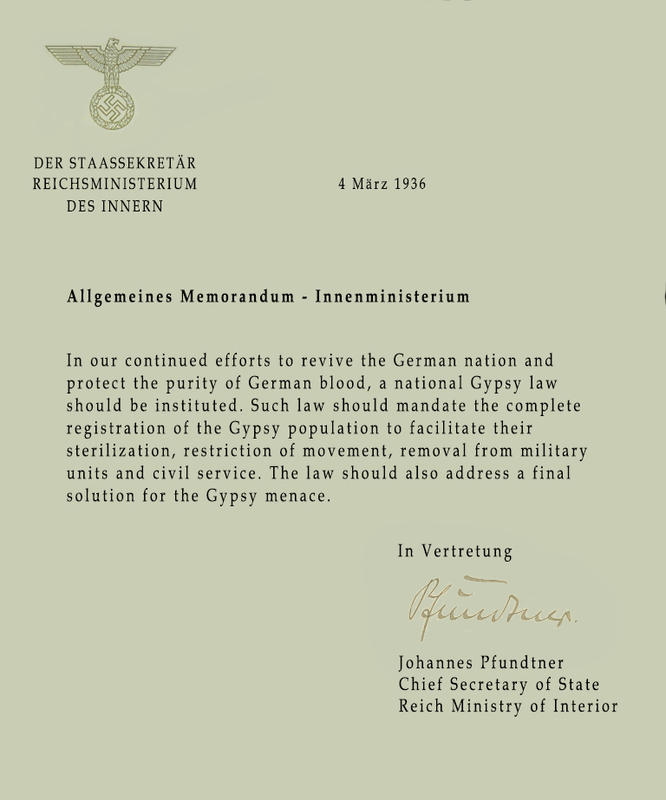 It seems to me that current humanism believes any conquest to be immoral, regardless if it is accomplished through trade, war, or migration. But conquest is a reality of the human condition, a lesson that the Western Hemisphere teaches us well if we would but listen. Anyone desirous to understand the conflicts and talking points surrounding the Arab-Israeli conflict owes it to themselves to read this book. Morris exposes both sides of the conflict in a highly objective history that documents the strength, perseverance, and atrocities of the clashing cultures. It is a very authoritative and highly approachable text. The reader will come away with a greater understanding of the challenges Israel, Jews, and Arabs face. The Math Myth: And Other STEM Delusions by Andrew Hacker. Any book that challenges the status quo is bound to criticized. The Math Myth is no exception. Some reviewers go so far as to attack the author because he isn’t a mathematician. These attacks lend weight the author’s argument, in my opinion. I listen to colleagues recount their college days and their struggles in what their professors openly called “weeder classes” like advanced calculus and I have to agree that Hacker is on to something. The author’s thesis is that the continual push for higher mathematics is impinging on true talent development for the college bound as well as not offering real world solutions or delivering on its promise to make better critical thinkers. He exposes the influential role the mathematics “mandarins” have had in perpetuating this myth and imposing theoretical and abstract mathematics on a population in dire need of strong arithmetic skills and greater numeracy. In the last chapter, he provides great examples of how arithmetic alone is sufficient to provide deep insights into everyday problems and statistics. The Math Myth is a very enlightening and enjoyable read. Washington’s Spies: The Story of America’s First Spy Ring by Alexander Rose. I was preparing for my pilgrimage to Arkansas this summer and grabbed this book as a fun read for the plane ride. I had watched AMC’s Turn and was curious how close to the “novel” the show was. First surprise: this book isn’t a novel; it’s a history – a very fascinating history. If you happen to be a fan of Turn, you may be disappointed in the facts presented in Washington’s Spies. But truth is stranger than fiction and ultimately more rewarding. Rose’s work is an eye-opening look into the factious society of revolutionary America. Not surprising that less than 100 years later, we managed to kill over half a million of ourselves in the Civil War! The early spy craft was fascinating and Washington’s role as our nation’s first spy master is a story every patriot should know. I had the opportunity to hear the author speak on 7/14/16. Mr. Rose is much younger than I had expected. He is a fascinating fellow and really knows his subject. 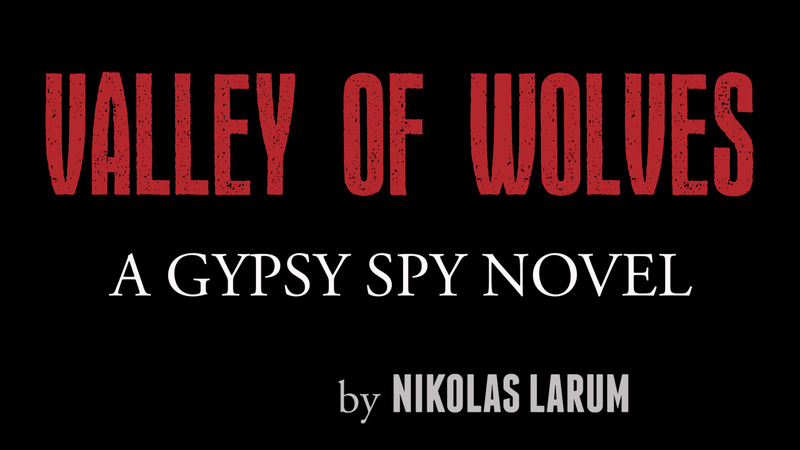 Gypsy Spy: The Cold War Files by Nikolas Larum. It may seem self-serving to put my own book on this list, but it is a ripping good yarn if I do say so myself. Through most of its gestation, the story lived under the working title The Long March Home. I never expected the path to publication to mirror the title. Twenty-five years after the completion of my first draft, I began the layout of my latest rewrite for publication through CreateSpace. The Long March Home gave way to Gypsy Spy and a fortnight later, I had my novel in book format for the very first time. Until that time, I had never read my story as a reader – someone sitting down with a novel for a bit of escape. I was pleasantly surprised by what I found. After all, a story crafted over the course of a quarter century moves much faster when read in two weeks’ time. My estimation of the work is truly biased, so I thought you should get a review from one of my readers. This one comes from Karla Perry, who is an accomplished writer in her own right. Scalia’s Court: A Legacy of Landmark Opinions and Dissents, Kevin A. Ring, editor. Scalia was brilliant. Progressives may certainly disagree with his opinions, but having read some of SCOTUS’s decisions, I don’t think any of them could seriously argue with his approach. His writing was exquisite. One aspect of my day job is slugging through the mind-numbing language of contract legalese. Scalia’s writing is anything but. Insightful, Constitutional, and consistent, his opinions and dissents are human and humorous. I left a lot of red ink in this book, but below is a small sample of some of his genius. Writing Tools: 50 Essential Strategies for Every Writer by Roy Peter Clark. Clark is as enjoyable to read as he is a great help in writing. The numerous examples from different writers from various fields and times give great examples of the tools he expounds while showcasing great writing that can be emulated. And his own writing is insightful, entertaining, helpful, and encouraging. I am always inspired to write when I read Roy Peter Clark. The title promises 50 tools and the author delivers just that, fifty actual tools that writers not only can use, but neglect to their own peril. I underlined plenty of the text as I read, but offer this one jewel because I have found it to be tried and true. Back to the Future by Karla Perry is an insightful, thought-dense treatise on redeeming America through Kingdom mentality. Though informative to all, this book is addressed to the Church, the American Church specifically. Perry sets the stage of our current cultural decay through a concise review of the philosophers that seduced Western Civilization away from a biblical world view into the faith of secular humanism that has birthed our post-modern identity crisis. She builds on this exposure of the thought brokers in Chapter 1 to lead the reader into needed realm of reconstruction. This reconstruction, she argues, must be predicated on a rejection of the false antithesis of reason and faith. It must embrace a substantive faith that enlightens reason with truth. Throughout the book, she avoids the trap of cloistered Christianity and advocates a bold, public life of faith that brings salt and light to the culture. Well written, excellently documented with footnotes, bibliography, and suggested reading, Perry has loaded this 140 page book with gold. I highly recommend it. A Man Called Ove by Fredrik Backman. Backman writes his novel. He writes like a sports commentator calls the game. Nikolas reads the story in a way surprised people taste new food and are unsure of the flavor or like a painter viewing a Picasso, sure for a moment that he can do better. Which of course, he cannot. Not quite in that way. A veritable treasure trove of similes, Backman breaks the rule of show-don’t-tell with wild abandon daring us to push past Ove’s brusqueness into a heart that is too large for the world it finds itself in. The narrative of this novel is written mostly in the simple present. It is one of those literary devices you read about in writing books but seldom encounter in a full-length work. Since the author is Swedish and I was reading the English translation, I was unsure if this was an intentional device employed by the author or simply the way Swedes write. The coworker who turned me on to the story is Swedish. She has neither confirmed nor denied. Regardless, the style grew on me and charmed me into this marvelous story. Backman invites us to dislike Ove, a man intent on suicide sabotaged by the lives around him, only to peel the layers back in a way that leaves us embracing this most lovable curmudgeon. I did indeed laugh and cry. My only regret in reading this book was that I had to do it in English. If it is this good translated, I can only imagine how great it is in its original language. Treat yourself. Read this book. Self-Publishing for Profit: How to Get Your Book Out of Your Head and Into the Stores by Chris Kennedy. The author generously shares the methods he has used and the knowledge he has gained to be a successful independent author in this very practical guide. Clearly written and very encouraging, this one is going on my writer’s shelf for handy reference. The Power of Understanding People by Dave Mitchell. Iconic personality type profiling has been with us for a while. From Hippocrates’s humors to Jung’s alphabet soup a la Myers-Briggs, these schemas have aided those interested in understanding people to classify them in general categories for greater ease of interaction. If you have spent any time in the corporate world or a modern mega-church, you have no doubt encountered this philosophy. From Humors to DISC to Jung to OCEAN, they all bear a consistent four part root that in spite of physiological evidence still leaves us nodding our heads in agreement. We know these types of personalities exist. It is a testament to Dave Mitchell’s talent that he is able to pick up this well-known paradigm of psychology and breathe fresh life into it through humor, anecdotes, and fresh nameplates on old character types. Enter the Romantics, Warriors, Experts, and Masterminds (no spoilers here – you’ll have to read the book to find out who wins)! Mitchell outlines these basic personalities and then blends them into characters we all recognize: the best friend, the hired gun, the specialist, the adventurer. He then illustrates these roles through well-known Hollywood actors who portray them. I truly enjoyed this book, though I caution against eating while reading as you might choke on your food while laughing. Insightful and funny, this book is both enjoyable and helpful.